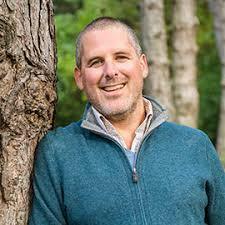 On October 9 & 11 Timothy Leduc will be leading a workshop to help participants learn about their individual, familial, cultural, nation, and professional position from the lands, waters, and climate they live and work within. We had a few questions for Timothy and he generously answered. HPNC: What drew you to exploring the connection we have to land and water? Timothy Leduc:It is probably rooted in seeing my father feel so connected to the bush behind our house in eastern Ontario, and fishing on the St. Lawrence River. The big surprise for me was in moving to Toronto about 30 years ago and becoming connected to these lands and waters. Growing up in a rural area, I always just thought of Toronto as a mass of concrete. As I write in my book A Canadian Climate of Mind (MQUP 2016), "Toronto seemed abstract, concrete, impersonal, too fast, distant, and estranged from any kind of nature, particularly the cedar bushes, crab apple tree groves, corn fields, and ponds that marked my childhood. It was a place of financial and political power with people who, at least from the stereotypical view of my hometown, saw themselves as the centre of the nation. Such were my rural biases when I reluctantly moved to Toronto for school in the mid-1990s with a hope that my time there would be short. An unanticipated two decades later, I have a very different feel for this place along the beautiful sparkling waters of Lake Ontario." A number of the book's chapters are rooted in the paths and ecologies of High Park and the Humber River, and it was a wonderful opportunity to more fully understand what I love about being on the local savannahs, deep in the ravines, along the ponds, or watching a Heron. There are so many teachings in these places, we just need to slow down and I can hear Indigenous creation stories, stories of Indigenous-Settler relations, chronicles of ecological change and restoration, and uncertain tales of the climatic future we are moving into. HPNC: Why is High Park significant to you? Timothy Leduc: High Park has become for me a kind of island refuge in the midst of our speedy urban lives, a place where its beings ask me to find ways of slowing down everything we do and learn what it will take to live sustainably again. I come here to learn about the real Toron:to (Indigenous "meeting place" or "fallen dolon-do) that underlies this city even when our busy-ness leads us to forget. Here I have realized that though it seems like a very small patch of land and water, I could spend my whole life as a researcher, writer and educator focused on this place and still barely learn everything it has to offer. I love living in that Great Mystery!! HPNC: Which area of land do you feel most connected to? Timothy Leduc: What is the beautiful about High Park is the diversity of ecologies, geological contours and waters (from Grenadier Pond, to Humber River to Lake Ontario), and thus I have become friends with a host of places that I cycle through over the seasons of the year. White pine groves in the Spring and Summer, savannah flowers in late Summer and Fall, the Grenadier marshes as the Herons make their presence, the Howard tomb overlooking Humber Bay in the Winter... there is so much that feeds me from this place! HPNC: Why is it important to be connected to the land and water of Toronto? Timothy Leduc: Land connection is important as it can open up our hearts and deepen our sense of where we are, from the difficult colonial histories that exist in these places to their healing potential. As such, I have been not only writing with High Park and the Humber River, but also working on education curriculum (for children and adults) that comes out of the places themselves. I do land-based education for reconciliation and environmental/climate education with university students, have developed Grade 5/6 land-based curriculum for reconciling Indigenous-Settler relations based in High Park, and I have begun developing adult workshops like this one. The other dimension of being connected with land and water wherever we are is that they can have healing benefits. I co-teach a course with a Cayuga Elder on Indigenous Wholistic Healing at Laurier University which is rooted in land, and I also draw upon contemporary research on the healing benefits of land/water relations. I have experienced all these things in Toronto, and there are stories and practices within all of our cultures that we can draw upon to further develop the benefits of these land relations. Here are a couple links to a short magazine articles I have written on environmental education in High Park, and land-based healing in a time of climate change. HPNC: What are you looking forward to doing on the Making Friends with Places workshop on October 9th and 11th? Timothy Leduc: Myself and my colleague Mark Dickinson are looking forward to opening people up to the diversity of stories that can emerge from the contours of these lands and waters, and consider ways of Making Friends with Places by getting to know a little of the great mystery that is right in our midst in urban Toronto, or along that Passage de Toron:to as the Humber was long called. 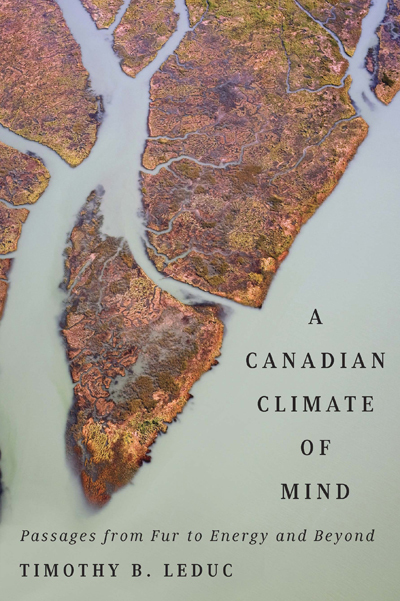 Timothy Leduc is author of the new book, A Canadian Climate of Mind: Passages from Fur to Energy and Beyond (McGill-Queen’s University Press, 2016). It engages the Two Row Wampum to look at the colonial roots of today’s climate change-energy issues, which are reconsidered as a spiritual initiation into healing the pain of disconnection at the root of modern culture. His first book, Climate, Culture, Change: Inuit and Western Dialogues with a Warming North (University of Ottawa Press, 2010), was short-listed for the 2012 Canada Prize and looked at climate science, politics, and economics from the perspective of Inuit cosmology. He is faculty in land-based and Indigenous Social Work at Wilfrid Laurier University Brantford, and has worked as a social worker in northern Indigenous communities and as an urban land-based educator. For more information about adult workshops and to register, please click here.